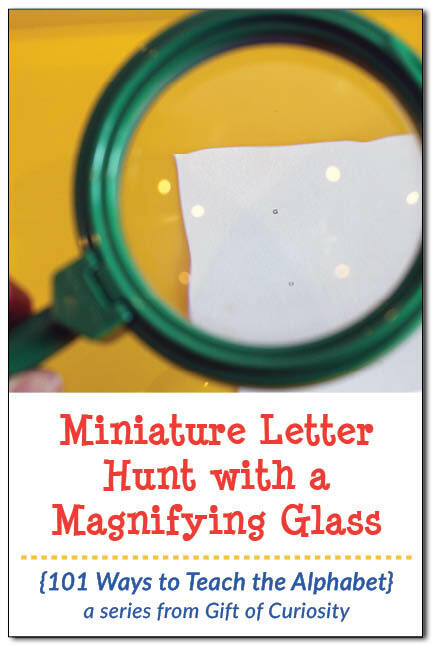 What is it about a magnifying glass that intrigues kids so much? 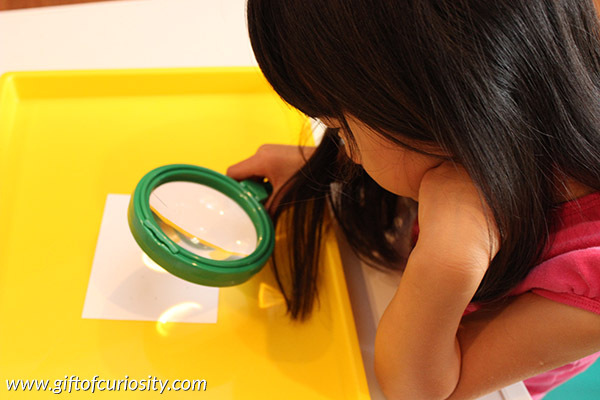 My kids have always enjoyed playing around with a magnifying glass to look at things up close. 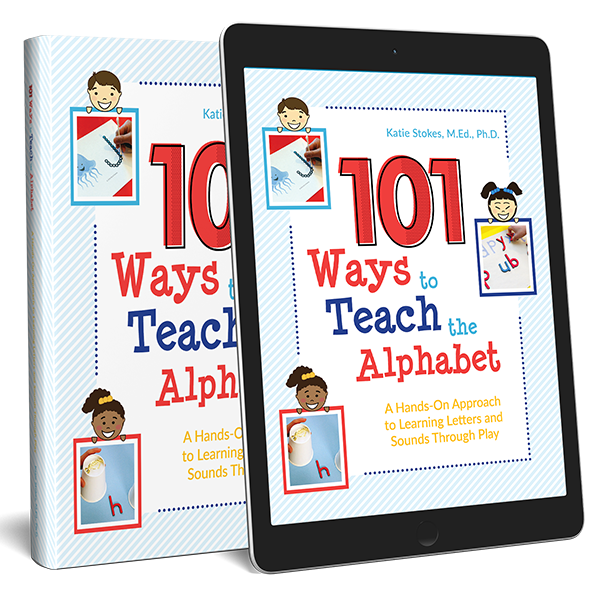 In the next installment of my 101 Ways to Teach the Alphabet Series I am sharing an activity that involves hunting for miniature letters using a magnifying glass. 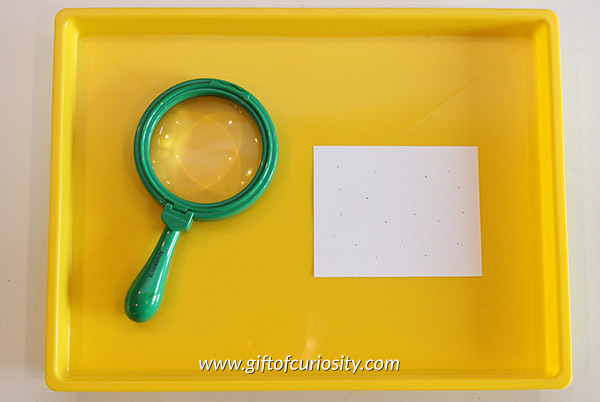 I set up this activity by placing a Learning Resources magnifying glass on a tray along with one worksheet from my Miniature Letter Hunt printable (see info at end of post to get this printable for yourself). 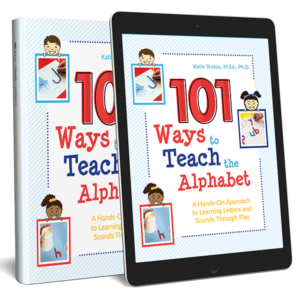 Each worksheet has several teeny, tiny letters on it that are difficult to read with the naked eye, but that can easily be read with the aid of a magnifying glass. 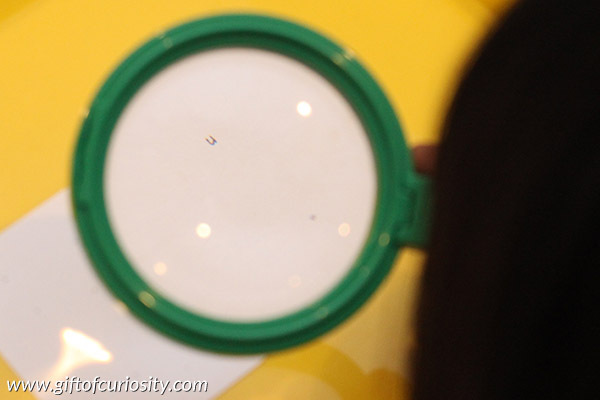 I invited XGirl to use the magnifying glass to enlarge the letters so she could find them. 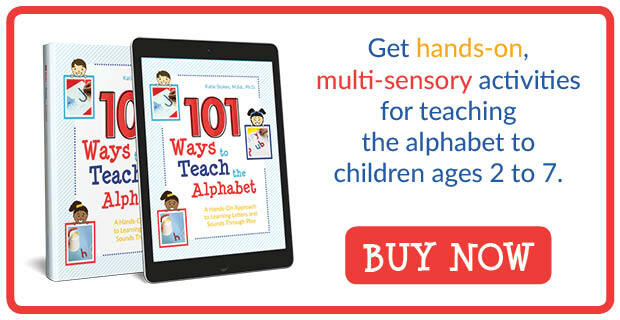 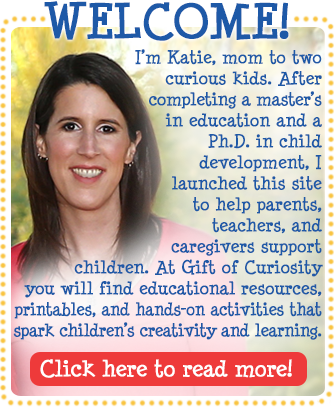 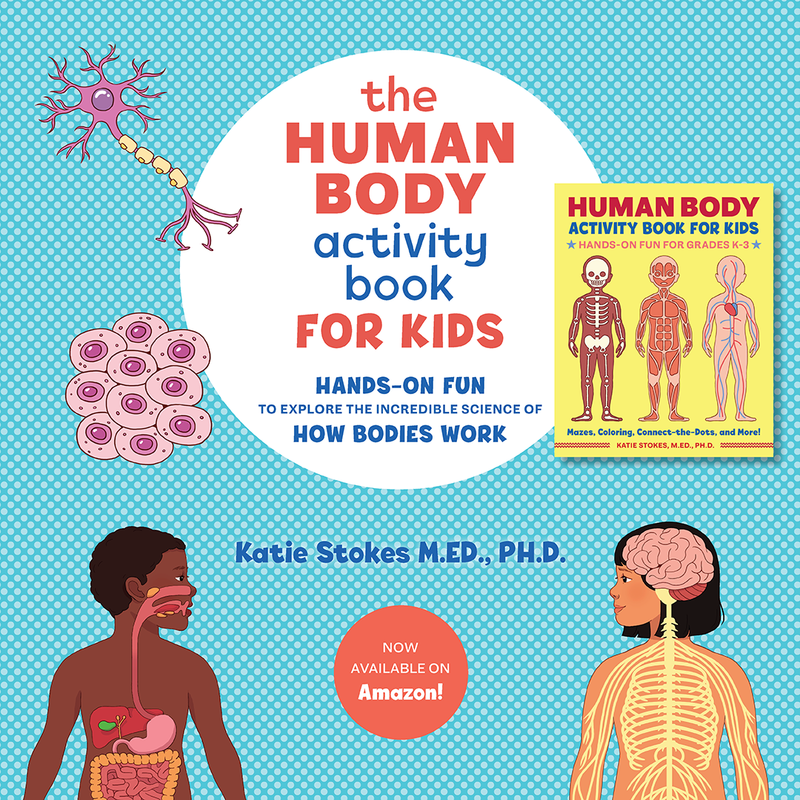 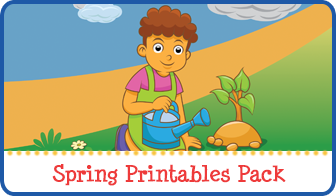 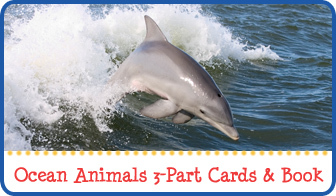 Simple and engaging learning that kids will enjoy. 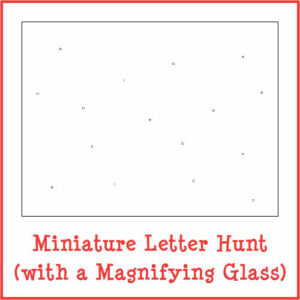 Want a copy of my Miniature Letter Hunt Printables?